Zippity Doodles is a small, experienced, responsible breeder located in the foothills near Denver, Colorado. Pups are raised in our home for the ultimate in socialization. We provide personal service & support before & after you take your puppy home. Our dogs are bred for temperament, health, beauty & intelligence to provide you with the best companion. 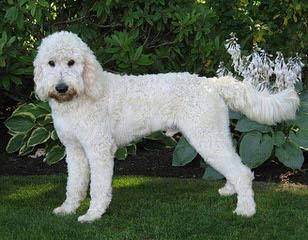 Blue Ribbon Member of the Goldendoodle Assoc of North America and Goldendoodles.com recommended breeder since 2004. We also offer a no obligation waitlist and notify you when we are taking applications for upcoming litters. To be added, click on “litter notification” at our website. For more about Zippity Doodles visit our website.